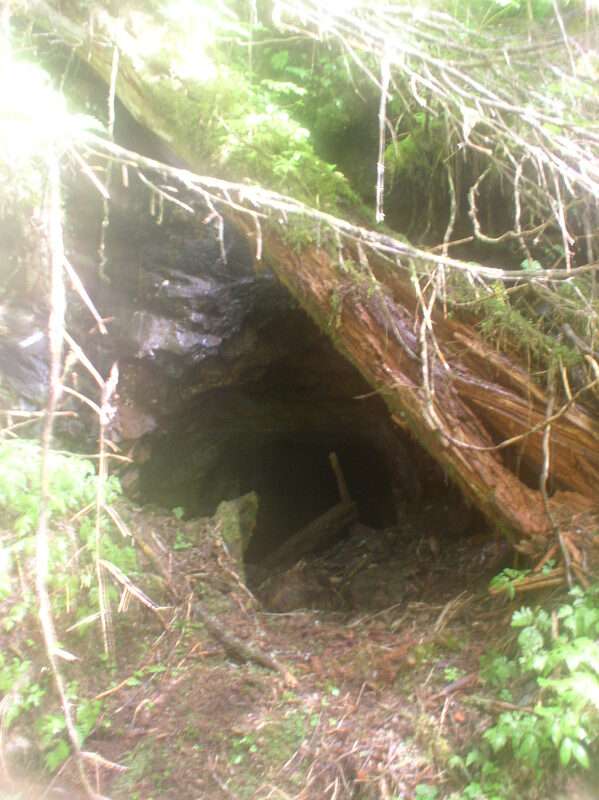 The Mansfield mine (also listed as the Seattle mine) is located at 500ft elevation about 3/4 of a mile from the head of Funter Bay. 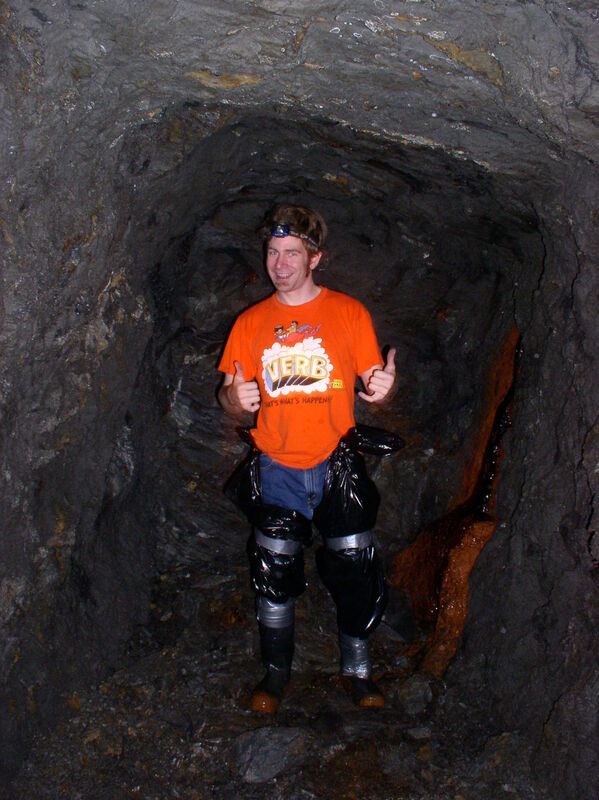 Discovered in 1908, the claim showed promise of gold, copper, zinc, and lead. A beach camp at the head of the bay still has some barely-visible cabin foundations, locally known as a blacksmith and/or mule-skinner’s cabin. 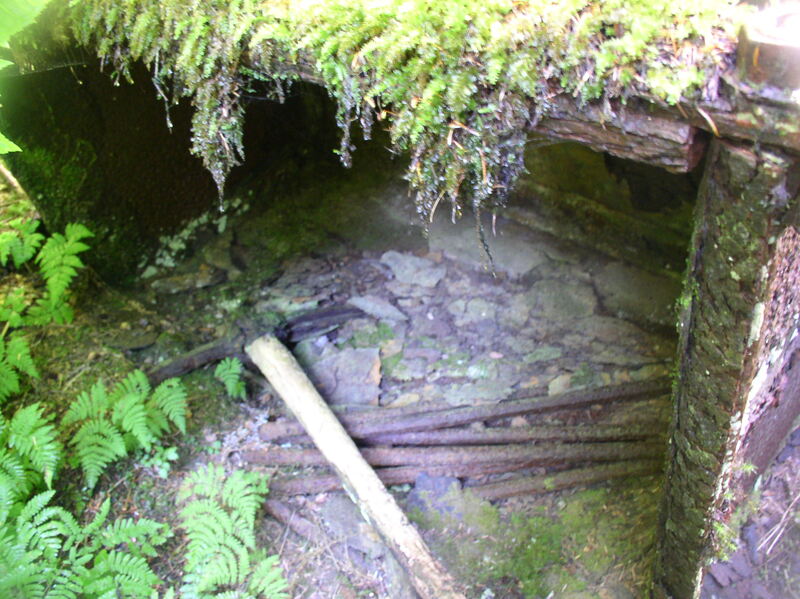 A blazed trail leads up through the woods to the mine site and the ruins of another log cabin. 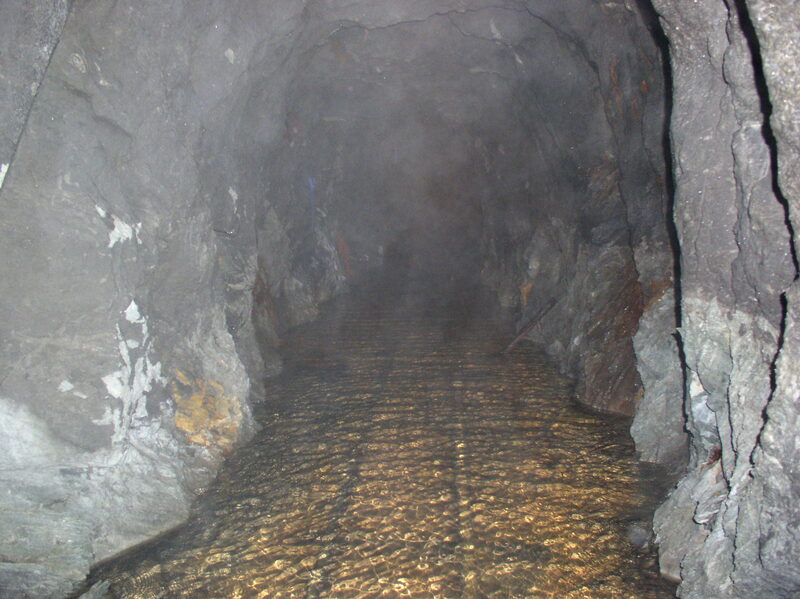 The prospect has two short tunnels (less than 100′ long), a small amount of railroad track, and one ore car. Transporting the ore car up to the site probably involved disassembling it and using mules to pack the parts to the mine. 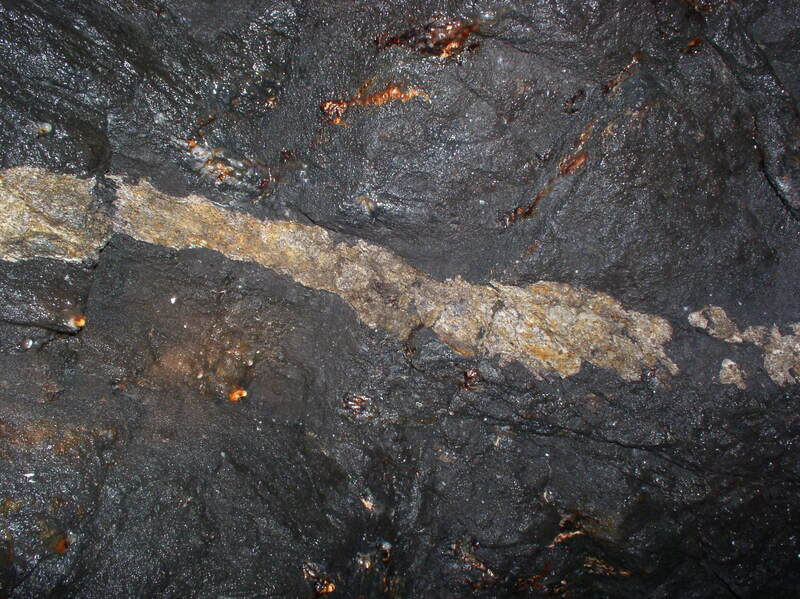 Inside the cart you can still find an intact pick and drill steels, it’s almost like a history exhibit! 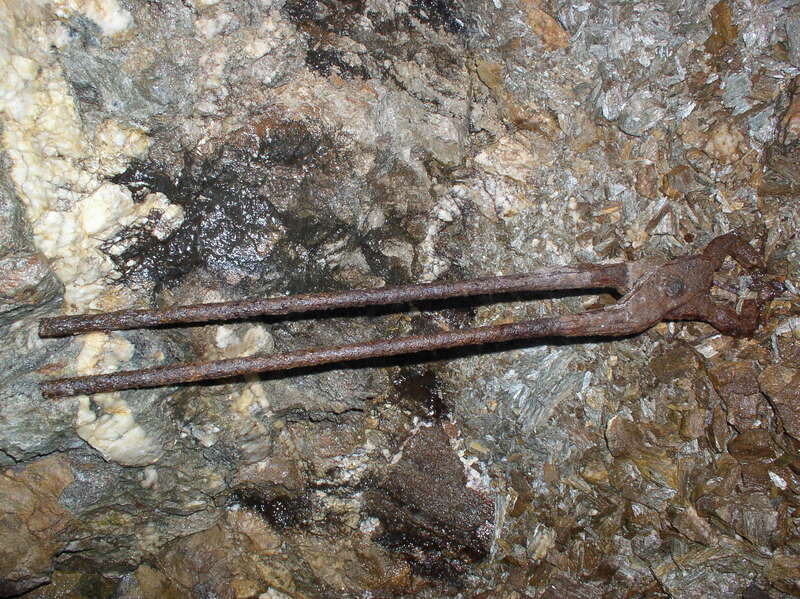 More rusty tools were found inside the mine adits. Several open cuts were also in the same area, a narrow ridge of granite with quartz veins cutting through it. Apparently the claim was promising enough to pack in equipment, but not profitable enough to mechanize or exploit it beyond the small workings. 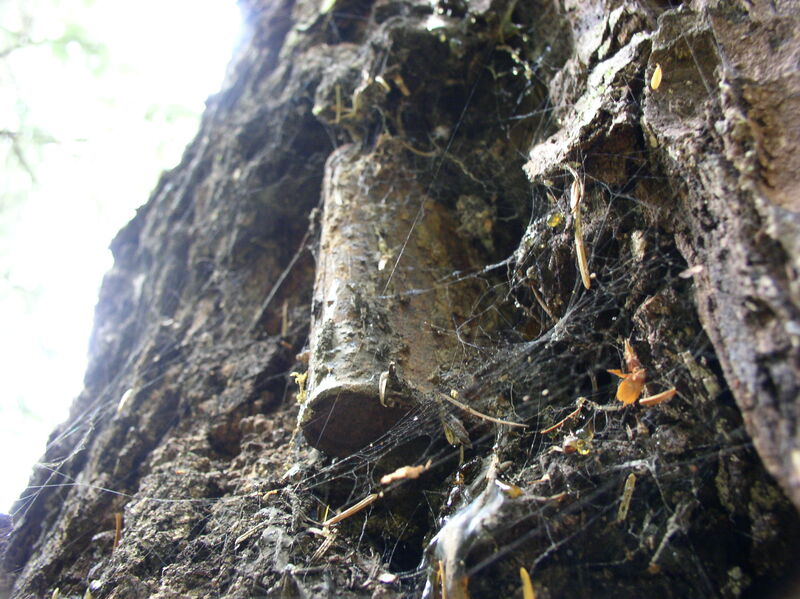 The mine claim was marked with corners like this: A metal can containing paper with claim information, jammed into a blaze in a tree. The can was pretty well stuck in there, the tree had grown around it a little since it was placed. 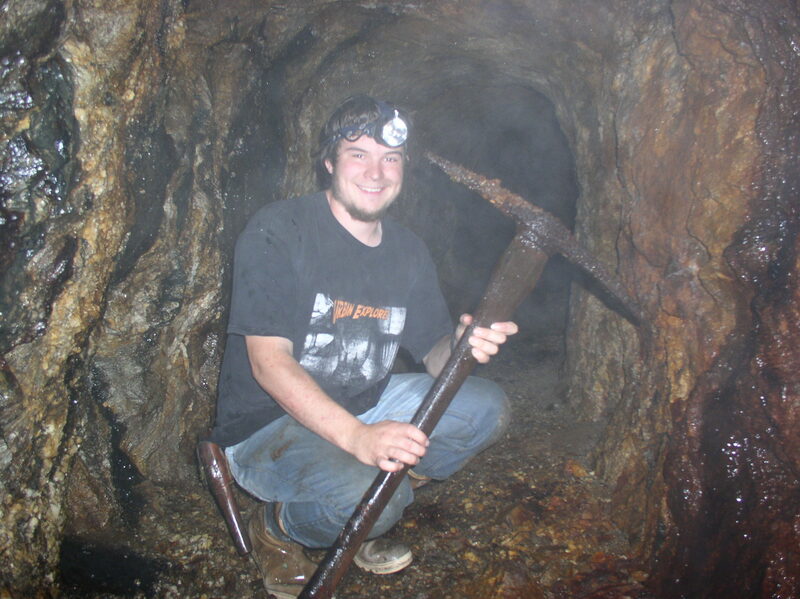 Finding this mine was pretty interesting. Despite having hiked and hunted around the area extensively, I’d never stumbled across it. The trails are overgrown and the tunnels and mine cart are covered with thick brush, so there’s not much to see until you get right on top of it. 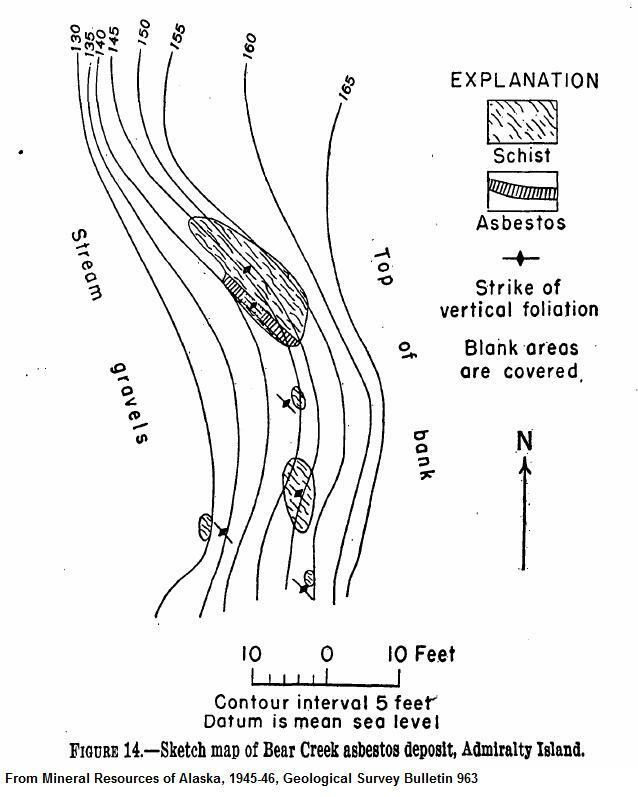 I first heard of this mine while perusing some old survey documents relating to claims. I was able to locate the original USGS survey monument and derive GPS coordinats for the claim site based on the surveys. 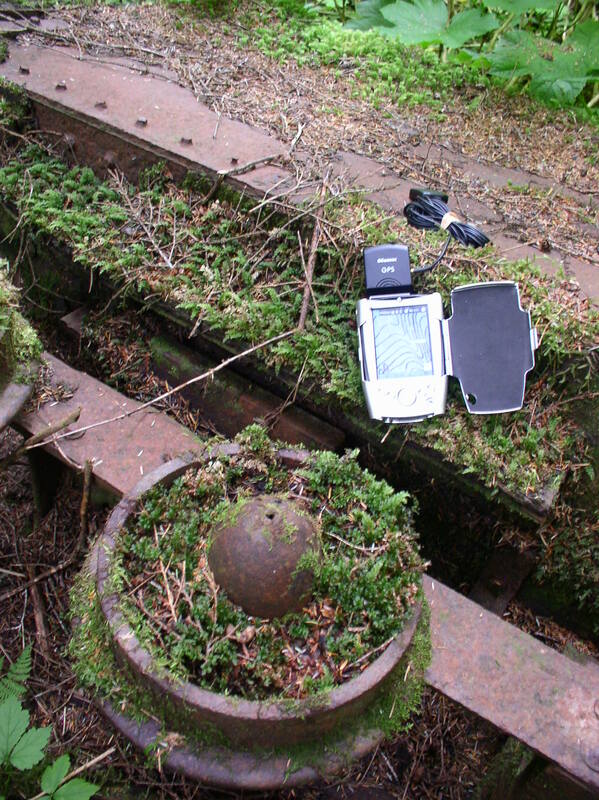 We then set out with a PDA running digital topo maps to try to locate the mine. Even with coordinates, it took us some time to find the two tunnels, and we still missed finding some of the open cuts. 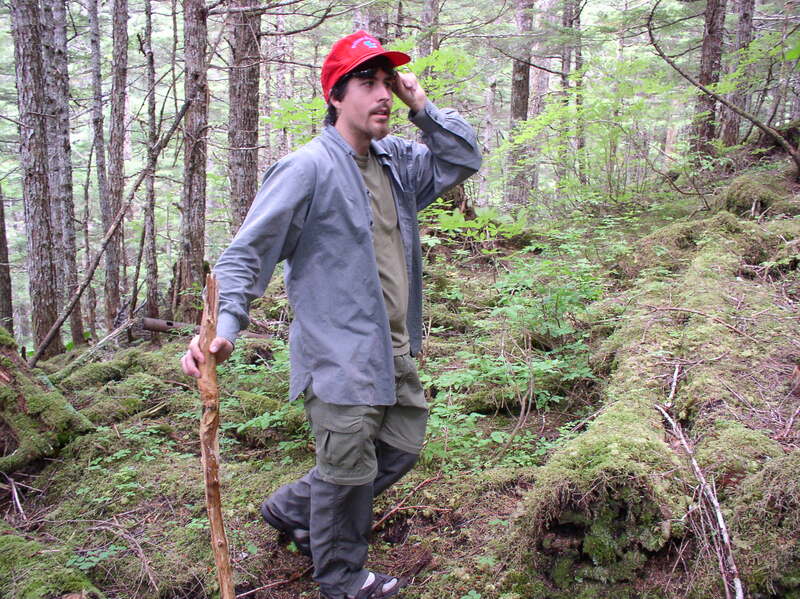 The GPS also required an external antenna to get a signal through the thick tree coverage. 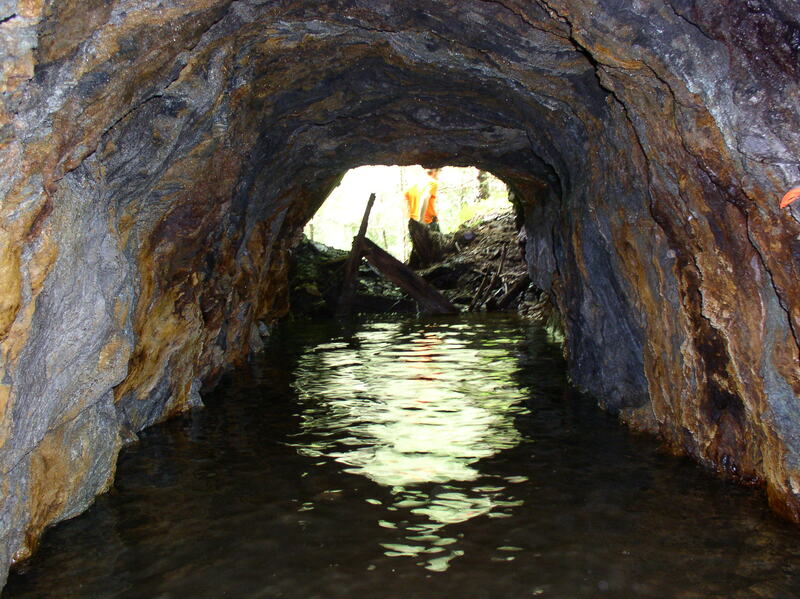 There were several other small mines near the head of the bay. The Portage prospect, across Bear Breek, was started in 1900 and had a small shaft, tunnel, and trenches, but did not reach profitable ore. 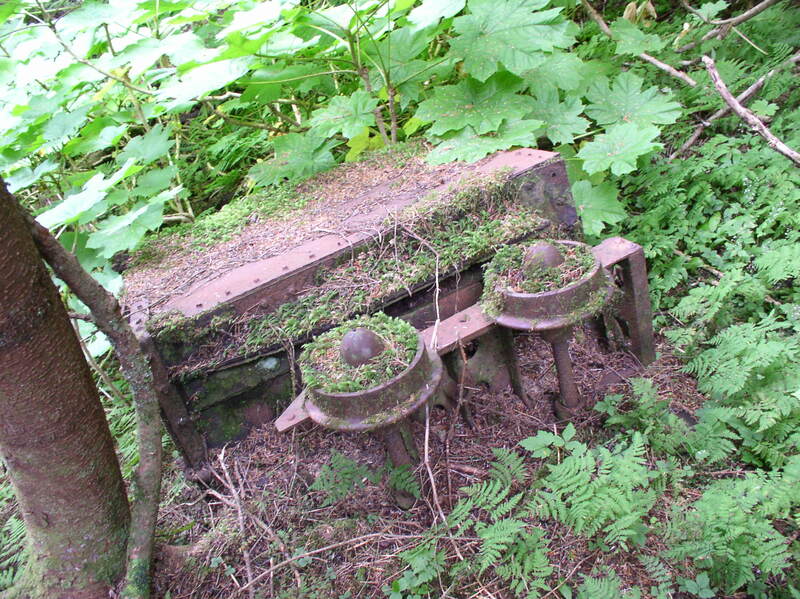 I have heard there is some machinery still visible at this site. The “Bear Creek” placer claim of 1967 was just downstream of this, and was probably a local resident’s gold-panning spot. 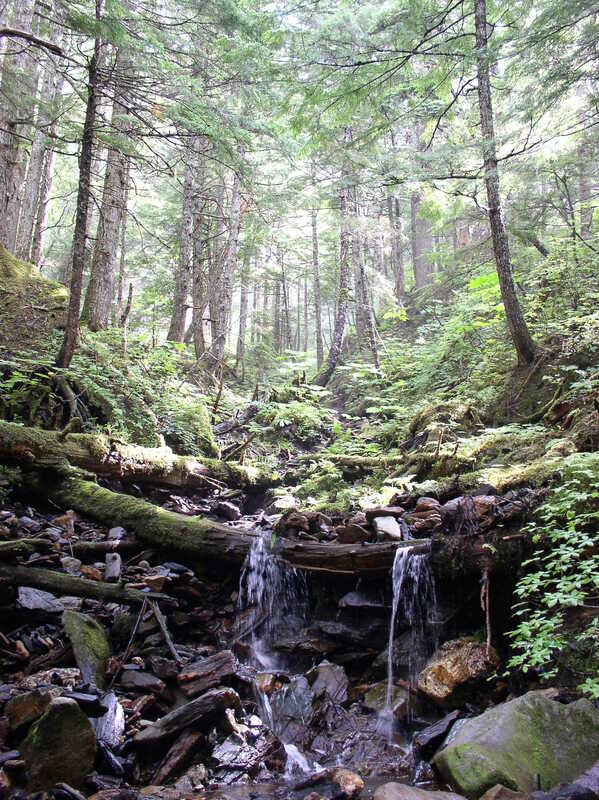 On the back side of the pass, facing Juneau, was another “Bear Creek” claim, this one for Tremolite asbestos. 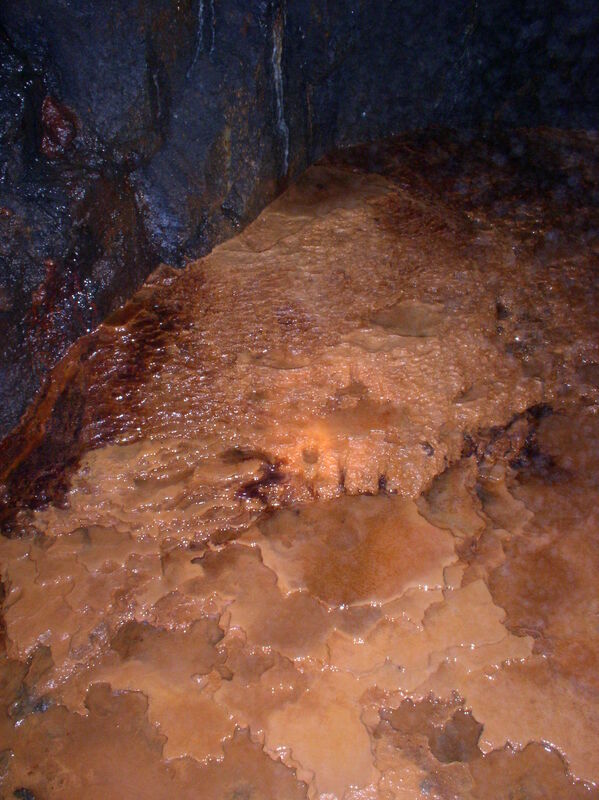 Around 1928, a Juneau resident named Augustus DeRoux discovered asbestos while searching for gold and copper. 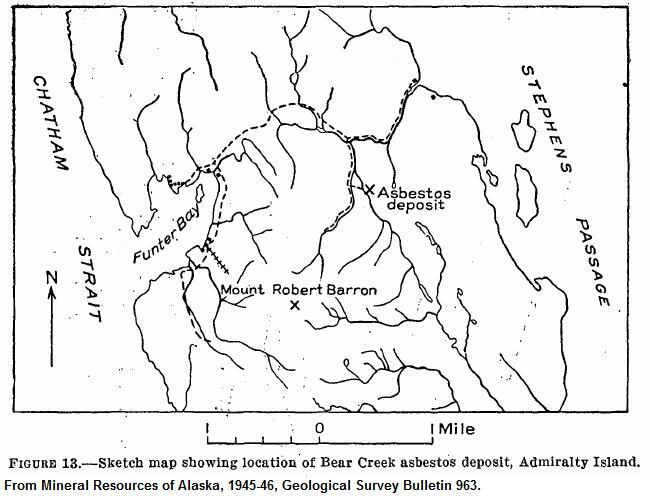 The Alaska Asbestos Co built a road from the beach around 1930 and apparently started a “rail tram”, but abandoned it when the USGS found the deposit not worthwhile. 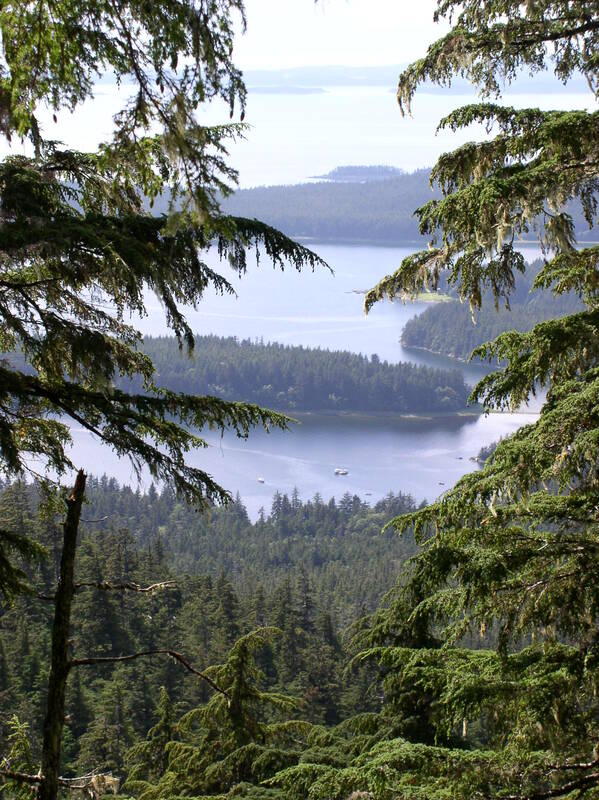 This entry was posted on Wednesday, April 17th, 2013 at 11:02 am and is filed under Funter Bay History. You can follow any responses to this entry through the RSS 2.0 feed. You can leave a response, or trackback from your own site.